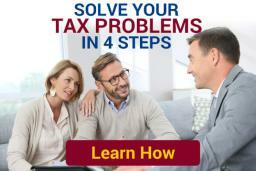 Home / Tax Audits / How Does The IRS Choose Which Cash Businesses To Audit? How Does The IRS Choose Which Cash Businesses To Audit? Profiles can be good or bad. They can be the “must love dogs” type or the “potential serial killer” ilk. IRS cash business profiles lean more towards the latter, and the Service doesn’t need much evidence to launch a full review. As mentioned in a previous post, marijuana dispensaries and other mostly-cash businesses are already in the telescopic site of an audit background review. This all begs the question, how does the IRS choose which cash businesses to audit? Obviously, the IRS does not audit all marijuana dispensaries in Michigan. As one might expect, there’s a very specific process that agents use to decide which businesses get audited. The IRS never asks idle questions, especially on tax forms. Every response is designed, at least in part, to match auditors with target cash businesses. Itemized Deductions: Is the real estate deduction unusually high, suggesting that the taxpayer owns other properties as well? Do high interest expenses make a similar indication? Most importantly (and some returns fail this obvious test), are the claimed deductions roughly commensurate with the reported income? Schedule C or F: Type of business and accounting method are two obvious areas of scrutiny. Agents also look at sales tax figures and capital items purchases. Industry Audit: Agents informally compare the targeted business to others in the area. They also examine internal income controls, if any, and the possibility for unreported side income. This portion of the audit background review is very brief. It’s not designed to collect information for an audit, but rather to examine the landscape of the taxpayer’s return and see if it withstands a superficial examination. Next, the agent looks at other sources of information. For mostly-cash businesses, that usually includes the Currency & Banking Retrieval System (CBRS). The CBRS shows who handles the cash at the marijuana dispensary, along with the date and amount of each transaction. These information sources could be outside the IRS. For example, auditors sometimes reach out to court clerks for lien, lawsuit, and other such information. Vertical Analysis: Using a site like biztstats.com, auditors view ratios and statistics based on the type of industry, amount of receipts, and type of entity. This analysis does not locate unreported income, but it does give auditors a frame of reference. Comparative Analysis: In this stage, auditors examine the company’s financial data (the returns and the other tools mentioned above) looking for items like a significant change in gross profit percentage, high inventory turnover, or significant changes in net sales. Locating Witnesses: Many tax audits rely, at least in part, on testimony from disgruntled ex-employees, former business partners, or ex-spouses. If these people are out there, rest assured that the IRS will find them and use their testimony during an audit background review. With the exception of that last bit, all these things happen outside the taxpayer’s view and before the taxpayer has any idea that the game is afoot. So, when the auditor comes to the door of your marijuana dispensary, s/he means business. At that point, the sooner you reach out to an attorney, the better the outcome will be.